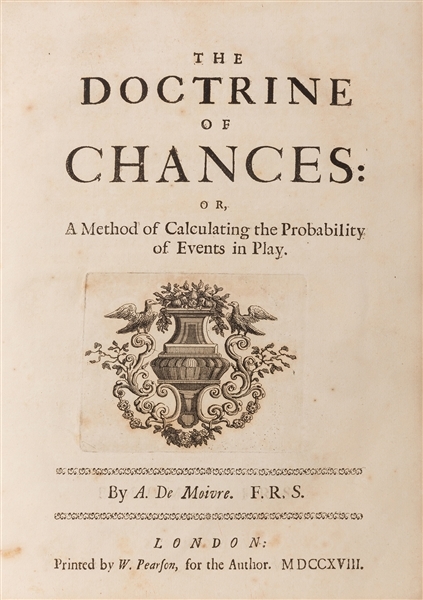 Lot Detail - The Doctrine of Chances: or, a Method of Calculating the Probabilities of Events in Play. The Doctrine of Chances: or, a Method of Calculating the Probabilities of Events in Play. 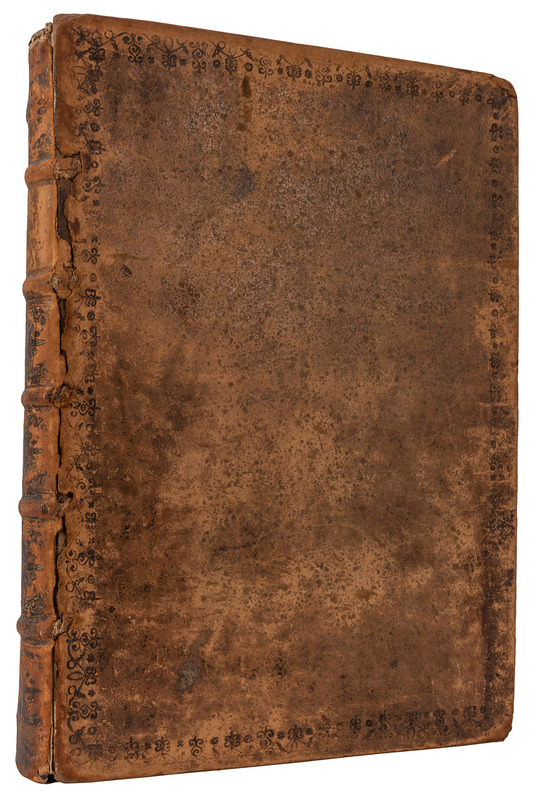 De Moivre, (Abraham). 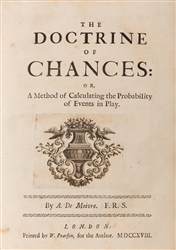 The Doctrine of Chances: or, a Method of Calculating the Probabilities of Events in Play. 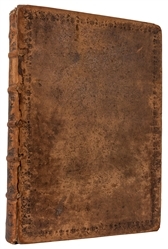 London: by W. Pearson, for the Author, 1718. First edition. Contemporary calf, boards held weakly. Edges sprinkled in red. 4to. , xiv, 175pp. 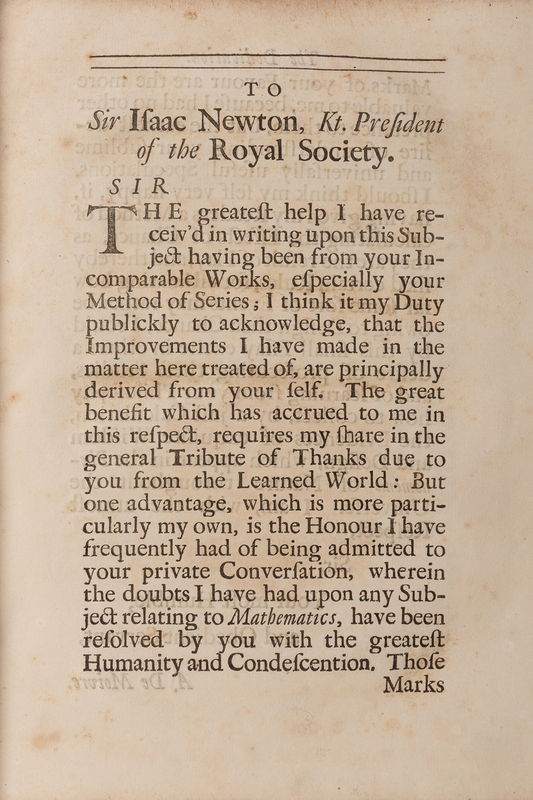 Engraved title device, engraved and woodcut head and tail-pieces, diagrams and formulas in text. Minor occasional spotting, a few stains and discolorations marginally. Norman 1529. 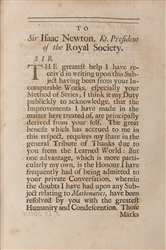 The author dedicated the work to his close friend Isaac Newton. 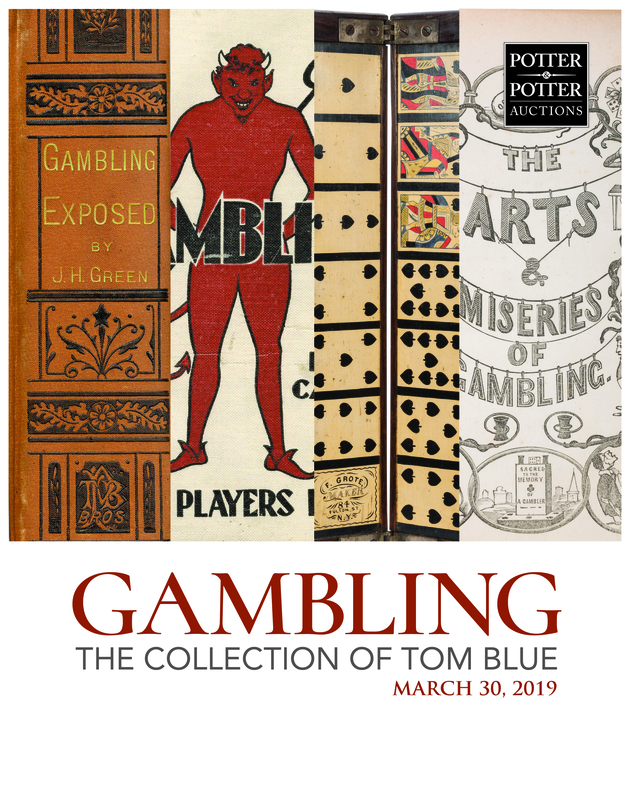 A landmark work in the theory of probability, many of the concepts are illustrated with and applied to gambling with cards and dice.